The lesson plans provide the following structures. Notably, the Copyright of these lessons are Attribution-NonCommercial-ShareAlkike. This lesson introduces the concept with a video. It explains the concept of a pixel and explains how to move and turn. Instruction text, that points out if the student needs to try again. The Workspace is the made area the student interacts with. 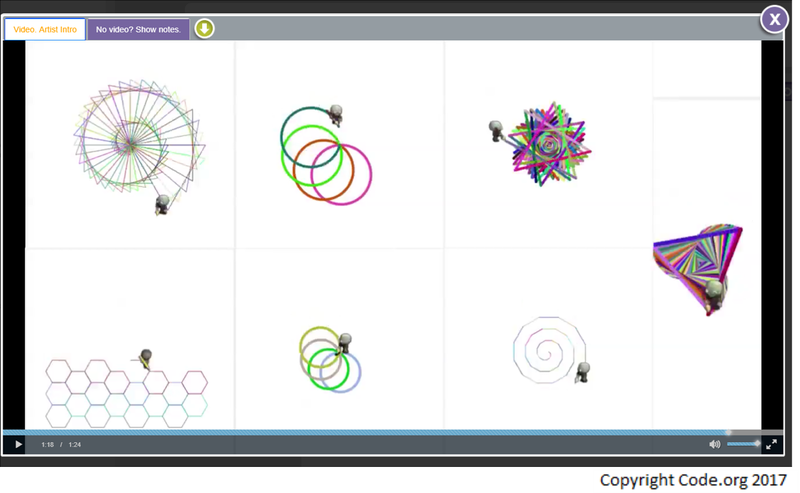 Here students can drag and drop code using their mouse. The variables are preset but able to be adjusted. For example, Turn [left] by  degrees suggests 45 as an alternate degree. 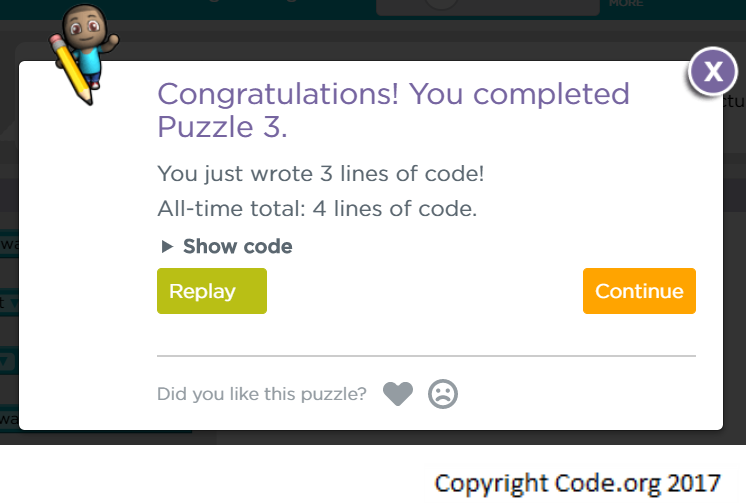 After each completion it shows the student how many lines of code they wrote, whether they wish to continue, and vote if they liked or disliked the puzzle. 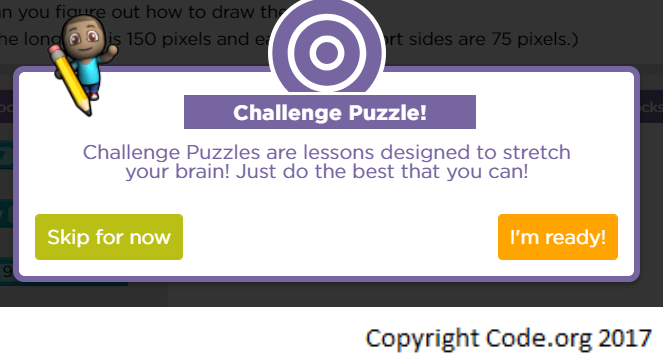 The lesson also provides optional challenges for students as they progress. These questions assess students’ understanding with multiple choice at the end of the lesson. 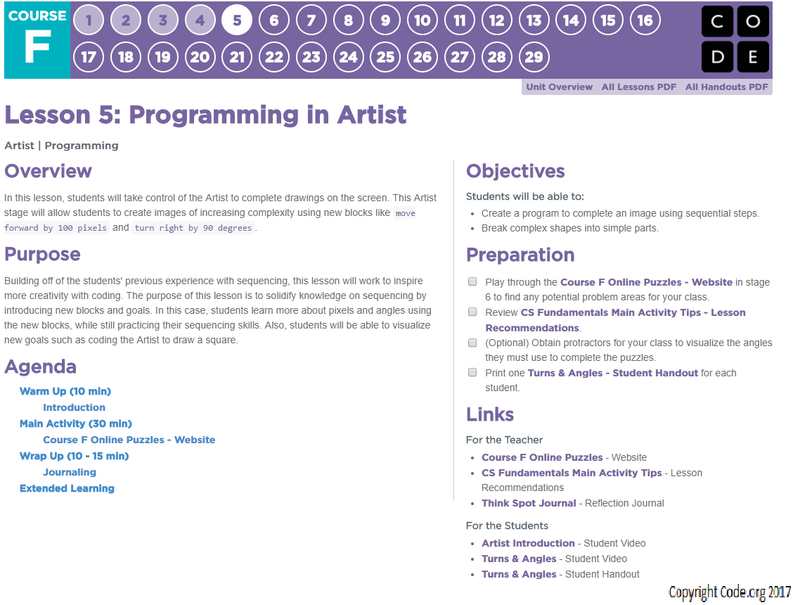 Each lesson includes concepts and activities, utilizing text, video, and map. It also offers activities that are off the computer, ie “Unplugged”, online, and questions. Furthermore, it can track if users have started, are in progress, have completed. There are 29 lessons in this Course alone. Code studio is free and no account is required to begin. Full lesson plans/courses are available to every grade level. They also offer translated courses, allowing for cross-curricular potential with second language acquisition subjects. 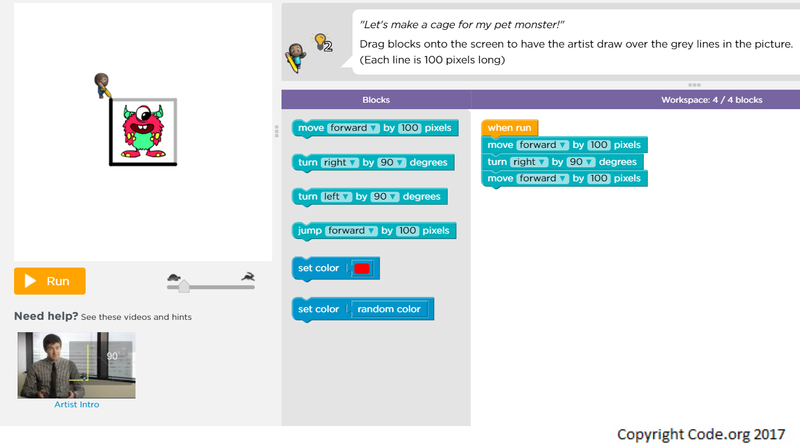 How do we integrate coding into the classroom? 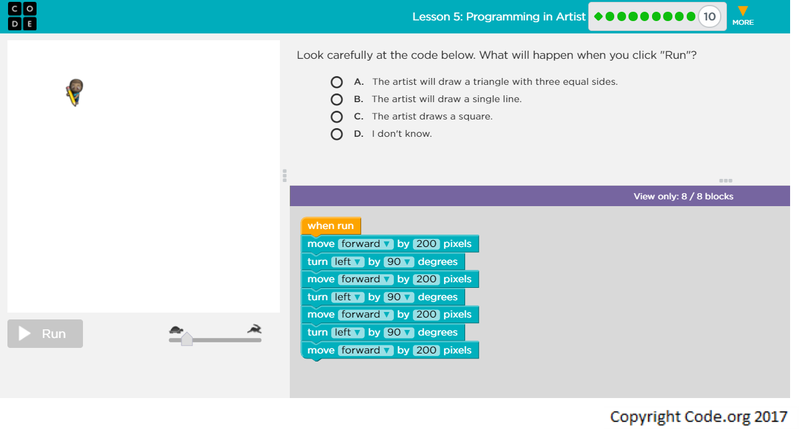 For my professional develop I am focused on introducing coding into an elementary classroom K – 7. Programming skills are increasing invaluable in this digital age. To empower our future generations my desire is to help eliminate digital illiteracy. Thus through these investigations I hope to provide accessible content and resources for students/teachers to benefit from.